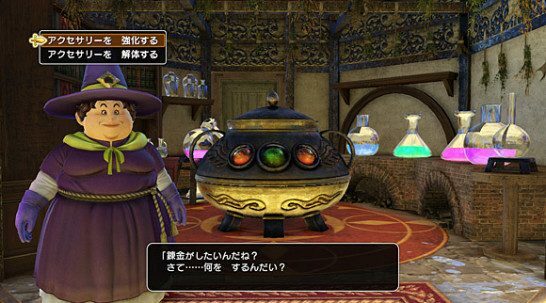 This page contains a guide on additional accessory effects using the Alchemy Kettle in Dragon Quest Heroes 2. In Dragon Quest Heroes 2, you can upgrade your accessories using the Alchemy to grant them even more special properties. You’ll need various materials to do so, so it’s important to gather as much as you can during playthrough. Click here to view our Materials List for Dragon Quest Heroes 2! Below is a list of all possible upgrades for accessories in the game. Please note that most of the information is directly translated from the original Japanese game. We will be updating information found on this page when new information becomes available. Click here to view our Accessories List for Dragon Quest 2! It’s best to take component in a contest for one of many ideal blogs on the net. I will recommend this web-site!